Today, we're pleased to announce that SM Ajax Tabs - a professional module for Magento has been released. The module created 4 themes for you showing categories as tabs. In each tab, we supported ajax to transfer products, so can help your module presents more quicky and masterly.Let take SM Ajax Tabs tour and you'll love it! 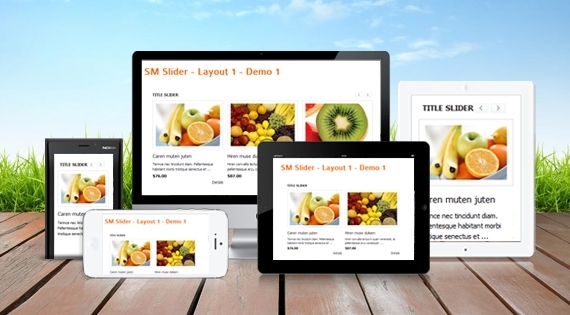 This module is the most eye-catching way to display Magento products in a slideshow. 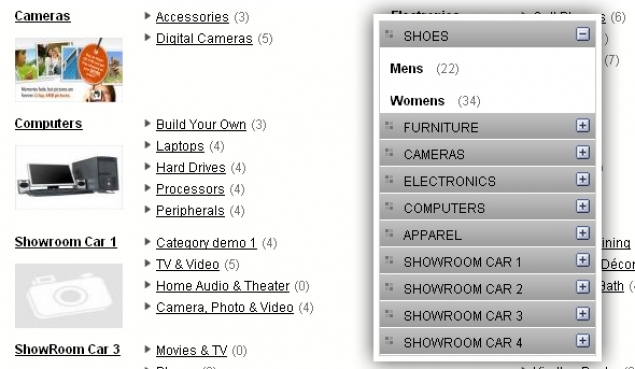 It supports many animation types and ways to select the products you want to display. Control is easy due to simple parameters. Give a site a great first impression with this stylish SM Slick Slider. Let's take SM Slick Slider tour and you'll love it! Are you finding a professional module to slide products of your Magento site? SM Extra Slider helps you to slide products with multi-columns, multi-rows. The module supports 7 themes, more parameters, which help you to create new module easier.Let take SM Extra Slider tour and you'll love it! 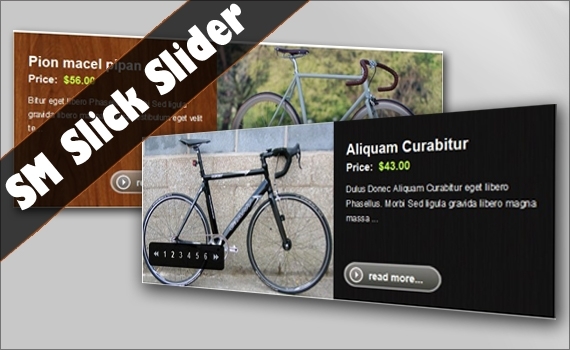 SM Slider is a professional module for Magento. It is built for showing Magento products with beautiful design and nice slide effects. 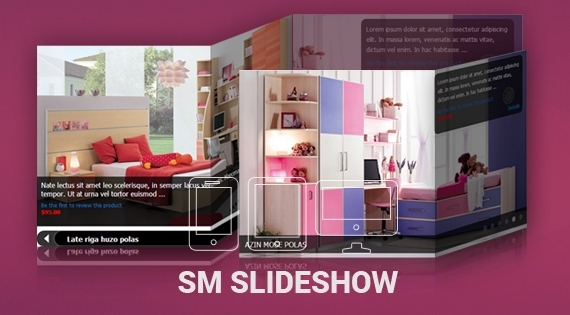 SM SlideShow is a professional module for Magento. 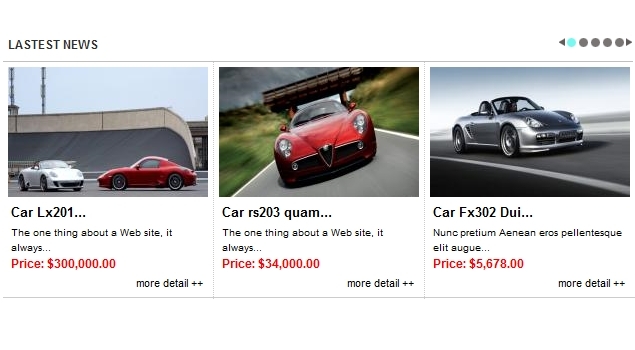 With 4 themes and 25 effects, the module will make your website look better. The module supports to choose some categories which you want to highlight to customers.Let's take SM SlideShow tour and you'll love it!